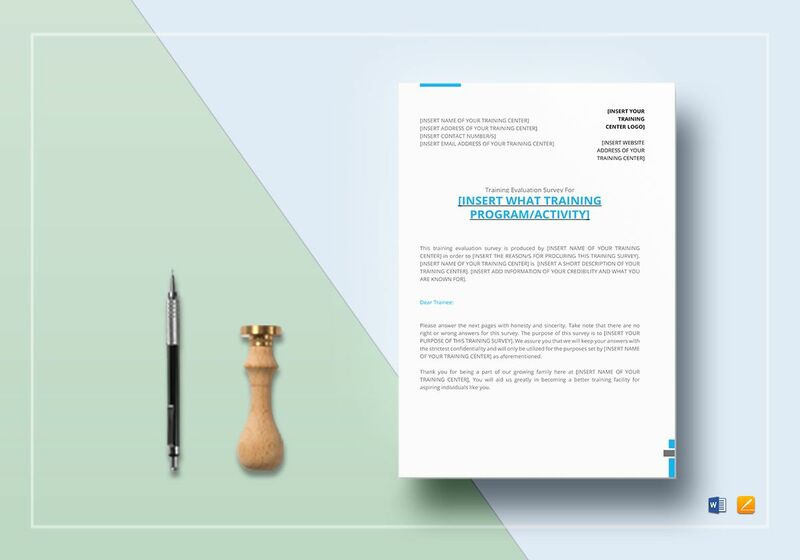 Develop your training program using this Training Survey Template available for instant download anytime and anywhere. 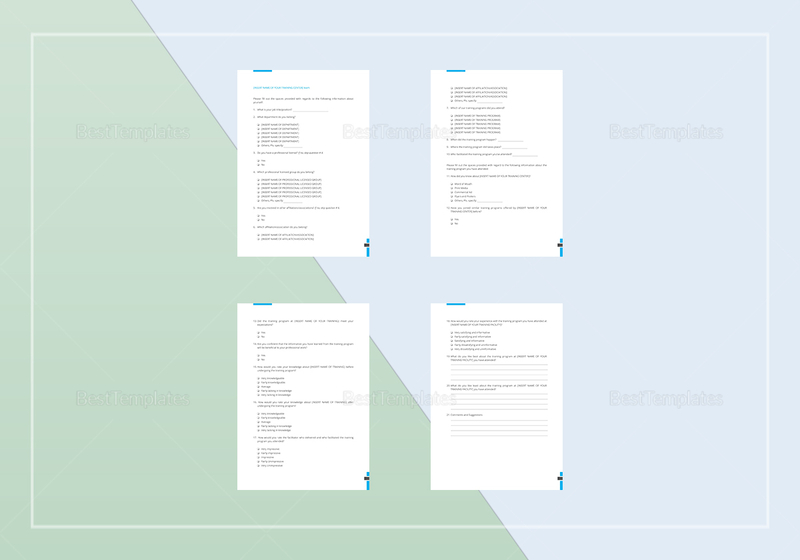 This 5-page, easy to edit template uses business standard fonts in A4 and US letter sizes. 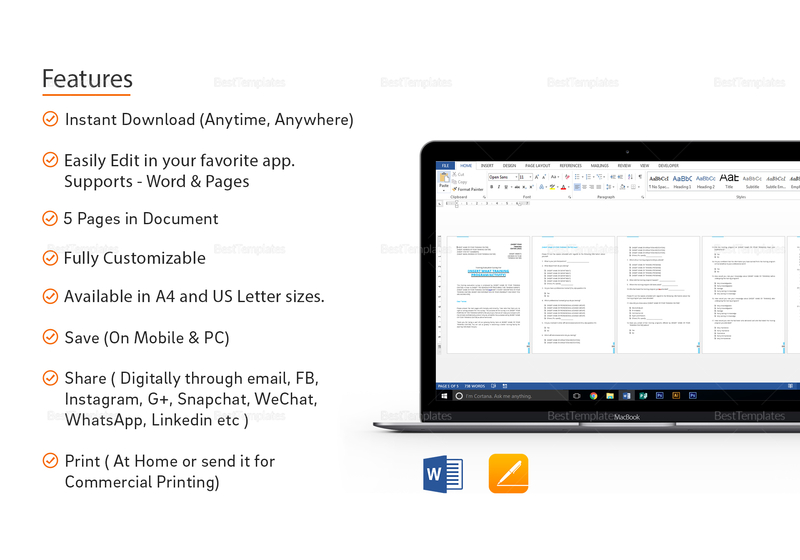 Edit with your favorite software application that supports file formats for MS Word or Pages. Share online via email or through your social media accounts to reach recipients faster.